Capel-le-Ferne Primitive Methodist chapel, north east of Folkestone, was opened in 1870. 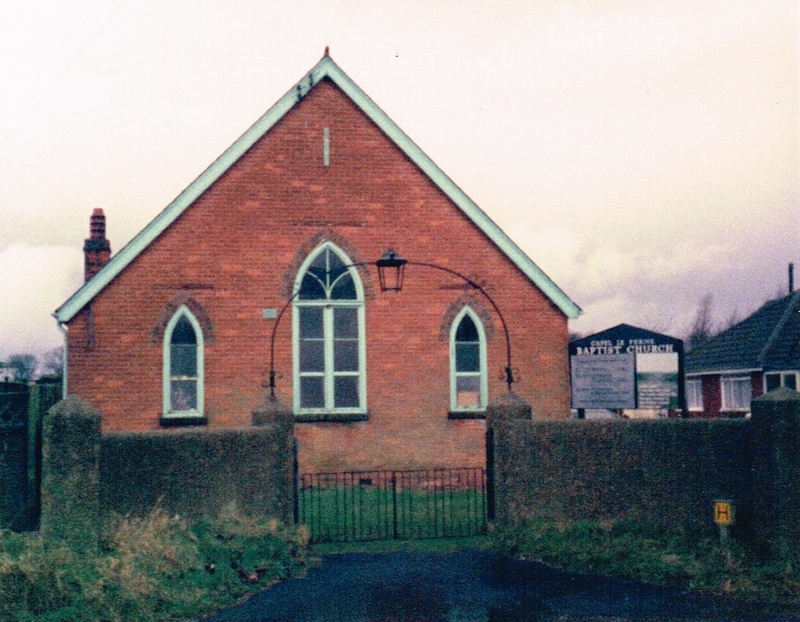 At the time of Keith Guyler’s photograph in 1986 and on Google Street View in July 2009 it was in use as a Baptist chapel. The Primitive Methodist magazine for June 1857 contains an account by Chas. Garton Honor of the opening of a preaching room at Caple-le -Fern (sic) in the Deal and Dover Mission. The village was first missioned in September 1856 and they soon obtained “a substantial and commodious outbuilding” which they fitted up with a pulpit, a small gallery and seats for 70 people. The opening sermons were preached by Mr Honor on October 26th 1856. A society of six people was formed. On Good Friday, April 10th 1857 an initiative to free the chapel from debt and give the society momentum involved sermons by Mrs Copelin and Rev N Broadway, the superintendent, and a tea meeting for 60-70. The account refers to “difficulties of an unusual and perplexing character” – but unfortunately doesn’t tell us what they were!